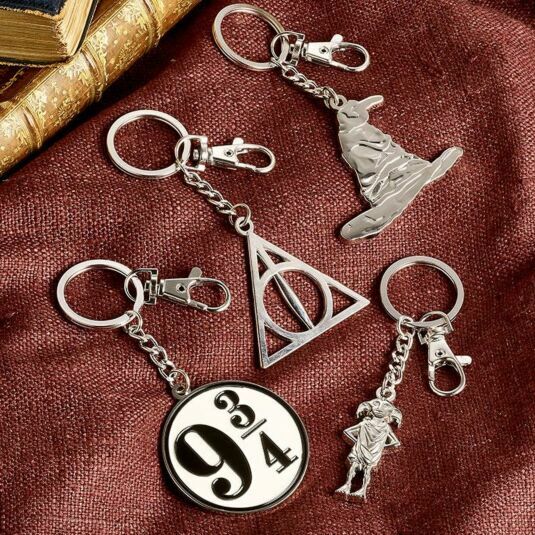 Relive the magic of Harry Potter with this sparkling keyring. 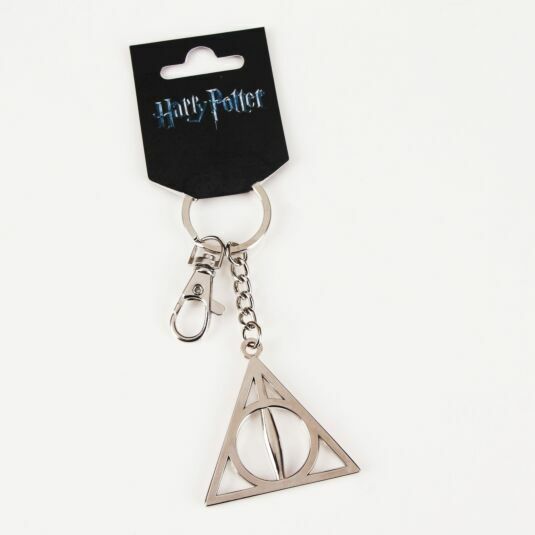 The Deathly Hallows are such an important part of the whole saga and this keyring is a great way to celebrate that. This item is a perfect gift for any Harry Potter fans, be that friends, family, or yourself! This item contains a ring for your keys, and a convenient snaphook to attach to anything else, for example your car keys. Hanging off the ring is a silver plated chain, and at the end of this chain is a silver plated charm. 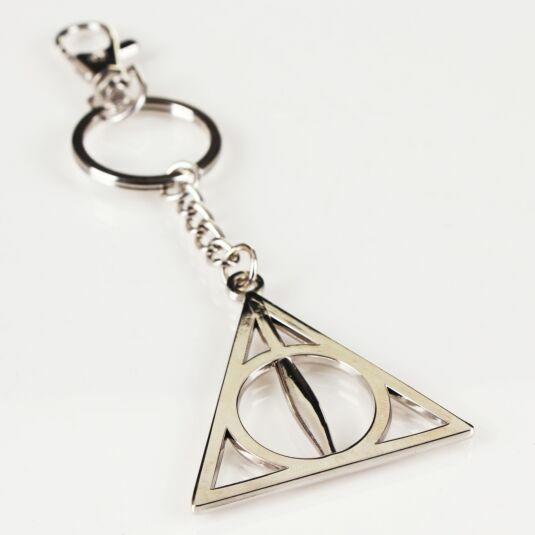 This charm is the iconic symbol of the Deathly Hallows, and instantly conjures up magical memories of the amazing stories that JK Rowling created. The silver plating shines incandescently in light, and the resulting keyring is a magical item. You will want to take this keyring everywhere that you go! This item comes with official Harry Potter branded packaging.